Call it an art world Cinderella moment. Oolite Arts, a scrappy nonprofit in Miami Beach, has long been overshadowed by the area’s newer cultural arrivals; its founding mission of providing affordable artist studios is nowhere near as fancy as starting a museum or partying at the annual Art Basel Miami Beach fair. However, the 2014 sale of one of ArtCenter’s buildings for $88 million — after it was purchased in 1988 for $684,000, when the surrounding neighborhood was largely run down — left it with the largest endowment of any visual arts organization in South Florida. 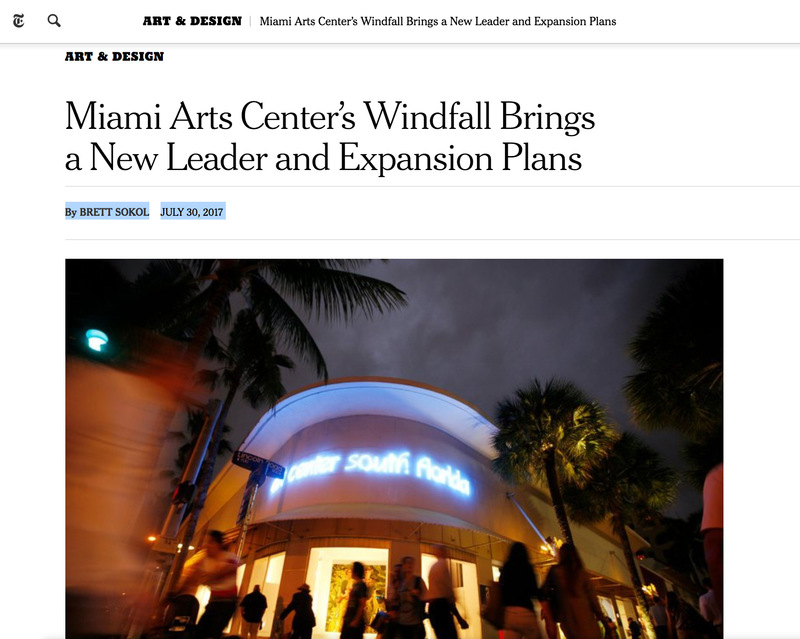 Now ArtCenter finally has a plan for its windfall: the hiring of a veteran Miami arts figure and an ambitious expansion of its program. Dennis Scholl, previously vice president for arts at the Knight Foundation in Miami, will become the president and chief executive of ArtCenter on Sept. 1. Mr. Scholl led the effort at Knight to expand its philanthropy into the national arts arena, overseeing nearly $200 million in grants during his tenure, from 2009 to 2015. In addition to being one of Miami’s best-known contemporary art collectors, he has served on the boards of several museums, including the Pérez Art Museum Miami, where he remains a trustee.